Rockmount has a thriving Music department led by a specialist Music teacher. Music is an integral part of our school curriculum and we believe it helps children to become independent and confident learners as well as developing a passion for music. Pupils take part in weekly singing assemblies aimed at developing the children’s ability to sing for pleasure as well as with increasing accuracy, fluency, control and expression. Curriculum Music is taught weekly to every class, from Reception to Year 6. All children are given the opportunity to learn to play an instrument, with whole class tuition of tuned and untuned percussion starting from Reception, recorders in Year 3, ukuleles in Year 4, Samba in Year 5 and Keyboards in Year 6. In Years 4-6 children are introduced to the concept of playing together in a band, learning the core skills on guitar, electric bass, keyboard, drums and vocals, using the ‘Just Play’ programme. We have a variety of extra-curricular music clubs at Rockmount, including two keyboard clubs, a samba band, recorder club, two choirs and the orchestra. We always ensure there are various events throughout the year to showcase the children’s musical achievements, such as school concerts, fairs, musical productions, the Rockmount Proms week, Young Voices and the CSMA Music Festival. In 2017 we became a partner school of the London Mozart Players. As a result of this link our choirs and orchestra have performed with the LMP orchestra at their Christmas concerts and the Crystal Palace Festival. We also offer peripatetic instrumental tuition for piano, guitar, electric bass, drums, violin, trumpet and trombone. In addition to these instrumental lessons we also offer children the opportunity to learn with Rocksteady, where groups of children are taught together as a ‘rock band’. Information on how to apply for instrumental tuition is included in the attached PDF booklet 'How to learn an Instrument at Rockmount'. Croydon Music and Arts Please see the CMA website for further opportunities to develop your child's musical experience. Keyboard lessons available at Soundsteps Music School (out of school and not affiliated to Rockmount School). Please see attached flyer and website for more information. Click on the link below to take a look at some of our Rockmount Musicians! 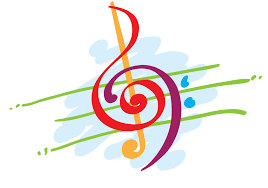 CSMA Junior Choir songs 2019 Upper Junior Choir: Please listen and learn all of these songs.